Inventory management systems are very important part of retail, wholesale, service, and various other industries that hold inventory. Initially, the conventional systems served as simple spreadsheets to track inventory in warehouses, but now the processes have become more complex to be recorded in simple spreadsheets. 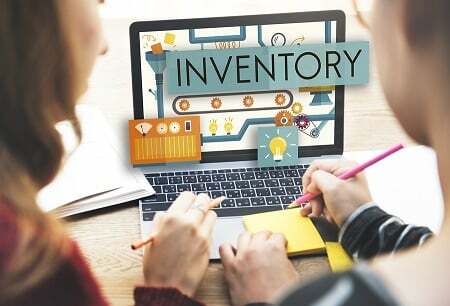 Before getting to know more about inventory management software along with the benefits and features, let’s first find out what inventory management is. Inventory management is a complex process, especially for larger companies, but the basics are essentially the same regardless of the company’s size or type. In larger companies, goods are first placed in the receiving area of a warehouse in the form of raw materials or components, then put into stock areas or shelves. While in smaller companies, the goods may go directly to the stock area instead of a receiving location. The raw materials are then taken from the stock area and transferred to a production facilities where they are made into finished goods. Furthermore, finished goods can be returned to the shelves first or sent directly to customers. Also read the related article: What is ERP and Why is It Important for Businesses? 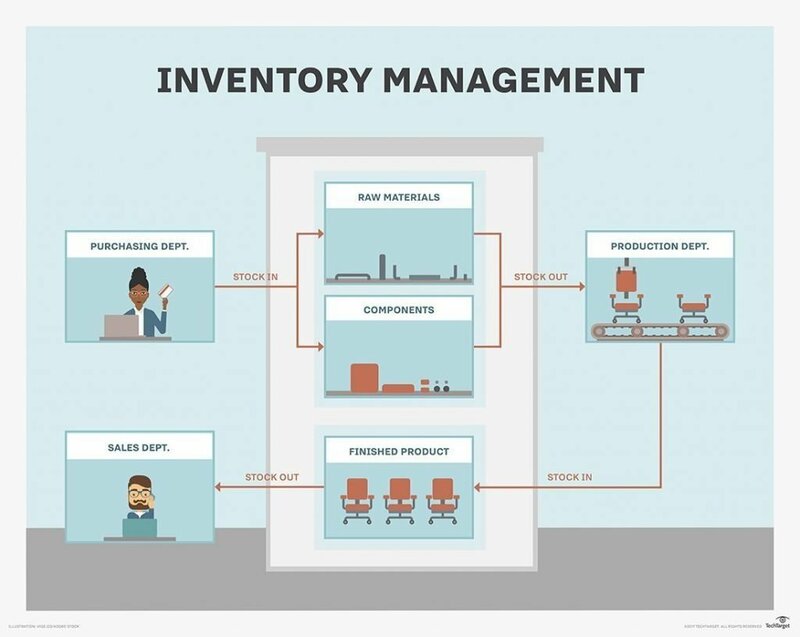 An inventory management system is a combination of technology (hardware and software) and processes and procedures that oversee the monitoring and maintenance of products stocked by a company. These products can be either company assets, raw materials, or finished products that are ready to be sent to vendors or end consumers. Nowadays, most inventory management systems can be integrated with other systems such as accounting systems, purchasing systems, and even have become part of ERP software. Good inventory management systems allow companies to manage their inventory across multiple warehouses in different locations. 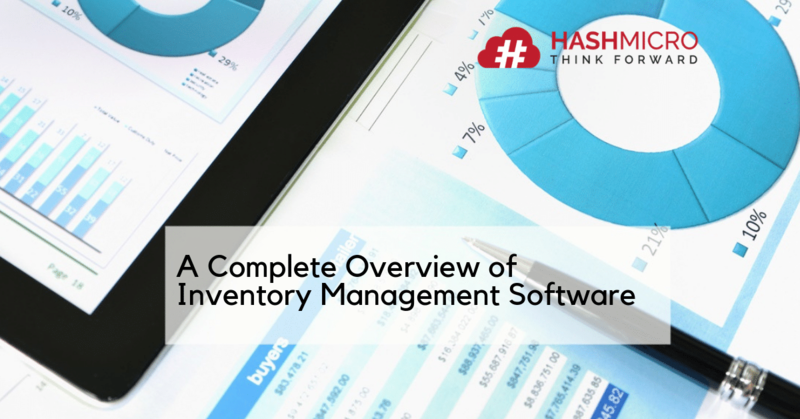 So, what made many companies choose to use inventory management software? As previously explained, inventory management is a complex process, which takes a lot of time, effort, and costs when done manually. An inventory management system can simplify the inventory management process and warehouse operations, such as inventory tracking, ordering, picking and packing, inventory valuation, demand forecasting, shipment tracking, and many more. The following are the main benefits of an inventory management system that are also the reasons why many companies decided to switch to the automated solution. The more stock locations you have to manage, the more difficult it becomes to manage orders and track the stock availability. With an inventory management system, you are able to find out the availability of your items and find their location in just seconds, even if they are put in different warehouses or stores. You can also process orders and track couriers through the same system. Stock control (or inventory control) is an effort carried out by a company in providing stock items needed to meet consumer demand. An inventory management system allows you to keep up with your stock availability and ensure it is always at an adequate level. The system gives a notification when the inventory is running low so you can immediately re-order. With an inventory management system, all the complex activities in inventory management are made simpler. Monthly to annual inventory reports can be generated in seconds. This is something that is unlikely to be achieved if done manually. Since various tasks are automated, your employees can focus more on other crucial tasks. They no longer need to be stuck in time-consuming tasks, such as stock-taking or reporting with spreadsheets. An inventory management system keeps your company away from financial losses due to human errors, excessive stock storage, unnecessary purchases, late deliveries, and so on. With a centralized and integrated system, you don’t need to spend extra money on additional systems to manage your inventory. In addition, you can also reduce the costs you might need to pay an inventory specialist, since the inventory management system is able to automate most of the inventory operations. 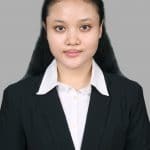 Besides, it can be easily implemented by anyone even if they have no experience in inventory control. Inventory management software ensures that all customer orders are fulfilled properly through real time information related to your inventory levels. The system also allows you to track the shipments until they’re received by customers. So that in the end, this system helps increase customer satisfaction with your services. An inventory management solution helps you become more proactive when planning and forecasting your inventory needs. With complete and accurate inventory reports, you can find out which products are the most popular, which ones are rarely ordered by consumers, how much inventory you should carry in the next few months, which suppliers are most profitable, and any other important information that helps improve productivity of your business. Keep in mind that not all inventory management systems have the same features. 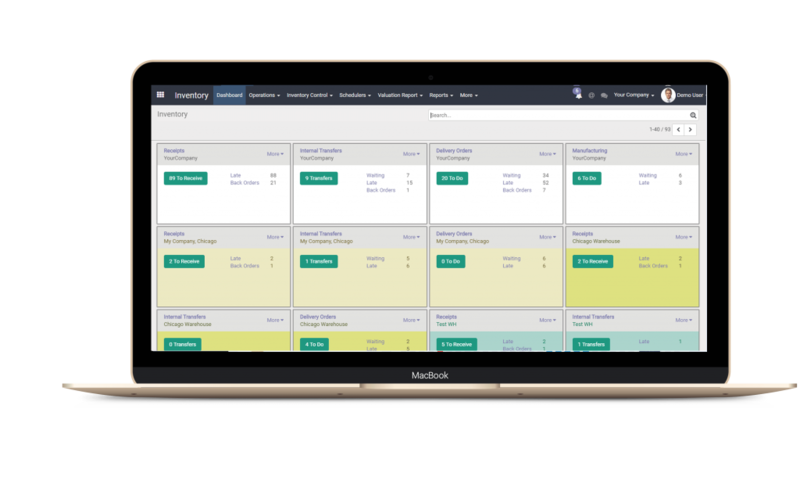 Some of them allow users to manage inventory across multiple warehouses and some only allow users to manage inventory in one location. Regardless of the provider, here are some of the main features that you should look for in an inventory management system. This feature helps users to monitor stock movements from one location to another. When the goods come out of a warehouse or store, this feature will automatically reduce the amount of stock held (inventory on hand). With this feature, users can set the minimum amount of stock and turn on the notification that will notify if the inventory has reached the specified minimum level. They can then immediately re-order to the supplier. This feature serves to store all complete information related to suppliers. With this feature, users can easily find the supplier they want to contact and compare quotations from one supplier to another. This is one of the most desired features, especially by those engaged in retail and wholesale industries. This feature allows users to create barcodes automatically, thus speeding up the labeling process. A good inventory management system provides integration with barcode scanners. With the shipment tracking tool, sellers can easily track items sent to customers. Some inventory management systems even allow customers to confirm receipt of goods directly on the spot via mobile apps. 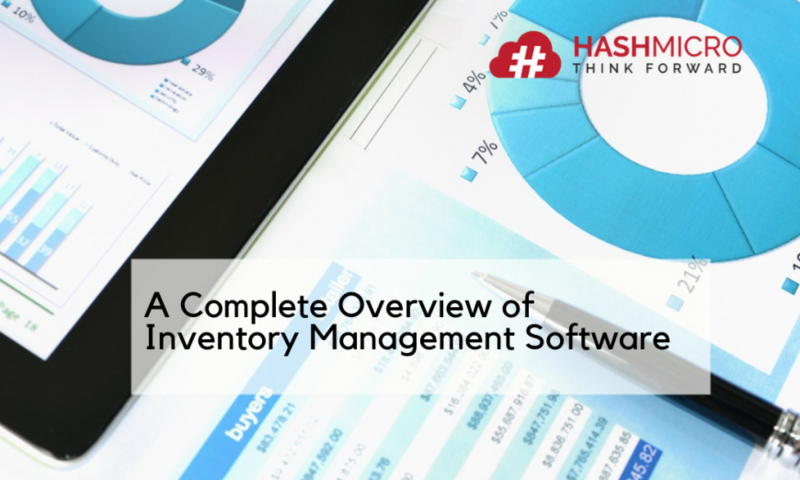 Good inventory management software provides sophisticated reporting tools that show complete analytic data regarding stock movements, stock valuations, stock quantities, inventory turnover, and many more. With accurate data, stakeholders will be able to make better business decisions. So, in a nutshell, an inventory management system is a system designed to help businesses automate their inventory management, whether the the inventory is the company’s assets or merchandise. Inventory management systems are not only used by large companies, but also small and medium businesses. Cloud-based inventory management software is usually the most preferred option for SMEs, because of its more affordable price, easier implementation, and better flexibility. HashMicro provides integrated inventory management software that can be customized to the needs of each unique business. HashMicro also provides free consultation for those who plan to automate their inventory operations. Click here to get a free consultation from HashMicro.